If you think employees work on computers and papers, then you are wrong. 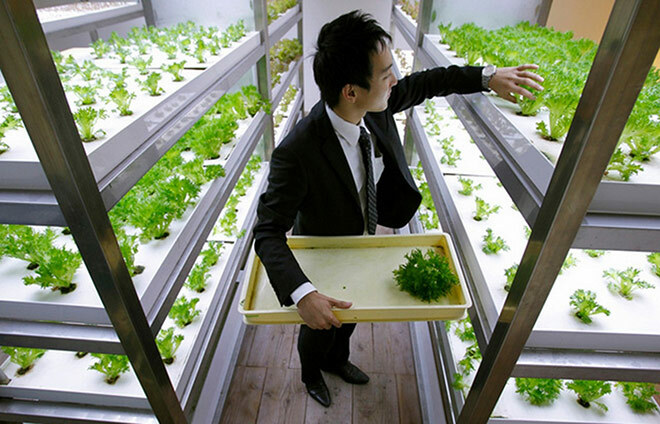 A Japanese company for employees to become farmers right in the office planted in the corridor. 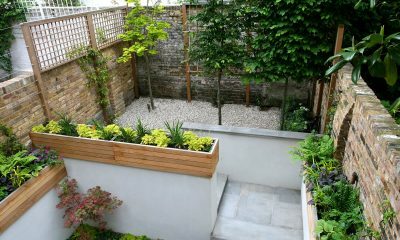 Pasona is the company that has made the network community fluttering when planting a variety of indoor glass plants and outside the building he is working. 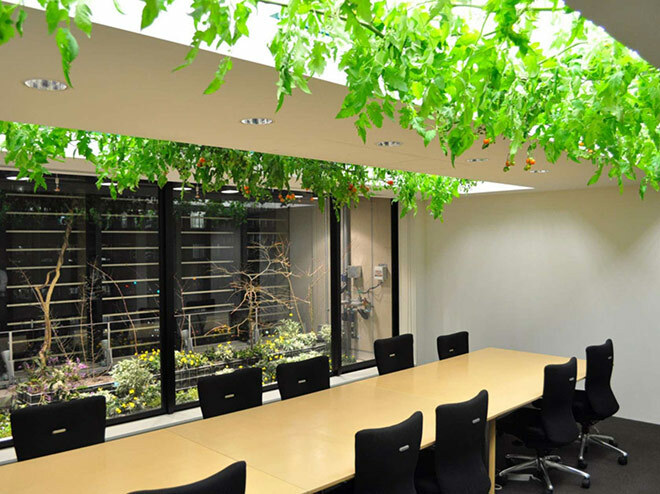 This is a company with a staff of over 1,500 employees and has an office space as well as top placement in Tokyo, Japan. 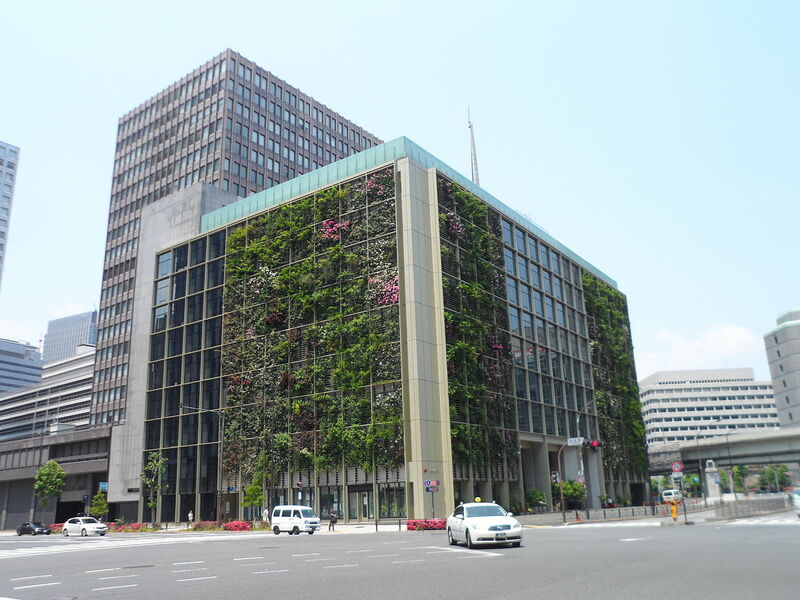 The two sides of Pasona are covered with green patches. 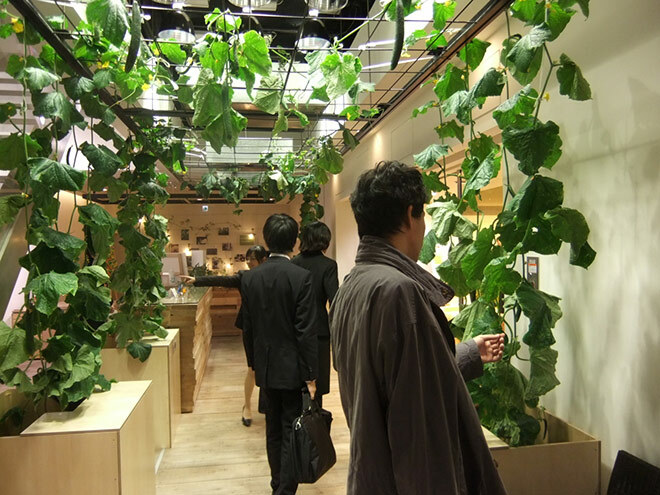 Without taking advantage of it, Pasona has come up with a very unique idea of leveling up empty spaces such as corridors and meeting room walls, and planting more than 200 different species, of which the most are fruits and fruits. 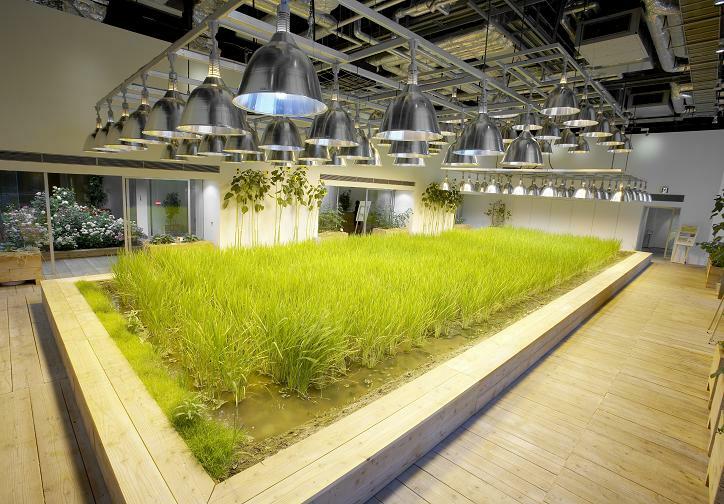 Rice fields are planted in the corridor of the office. 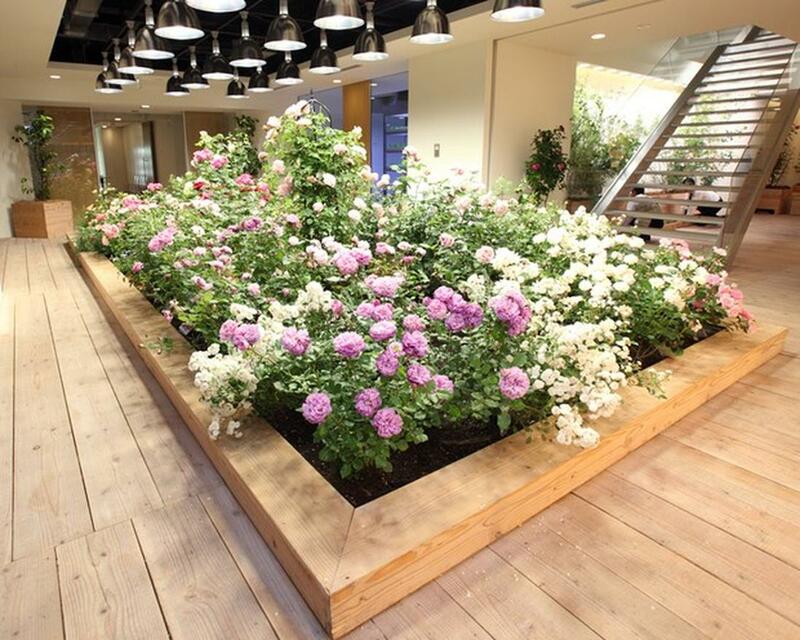 Any corner of the company also has a wooden platform to plant trees. 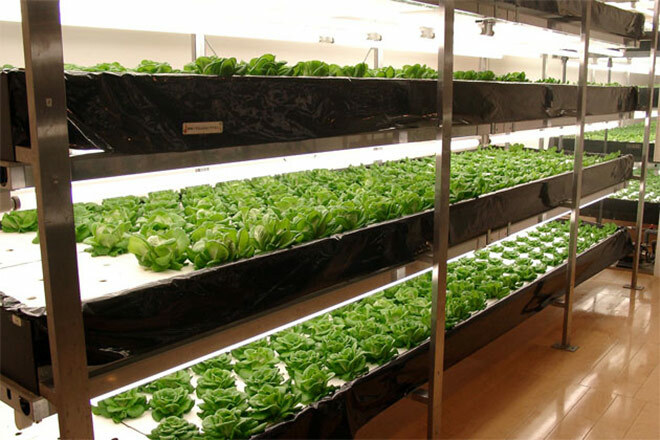 Plants are cultivated in various forms such as hydroponic, dry land, wetland. 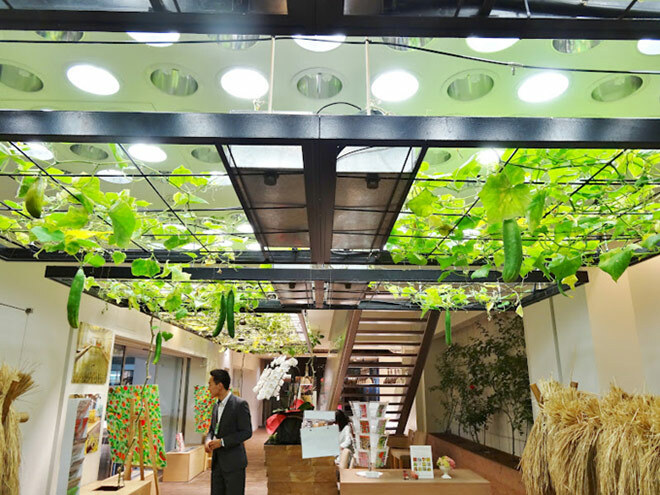 The LED system will replace the sunlight to help the tree grow evenly. Pasona’s leadership and staff will be the primary care and harvesters for the garden in this office. All food, food will be served for meals in the building. 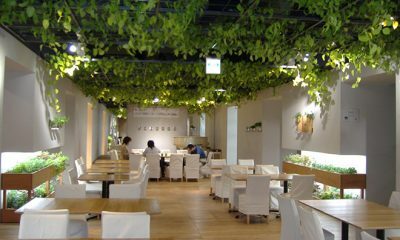 The company’s canteen is also planted a lot of trees. 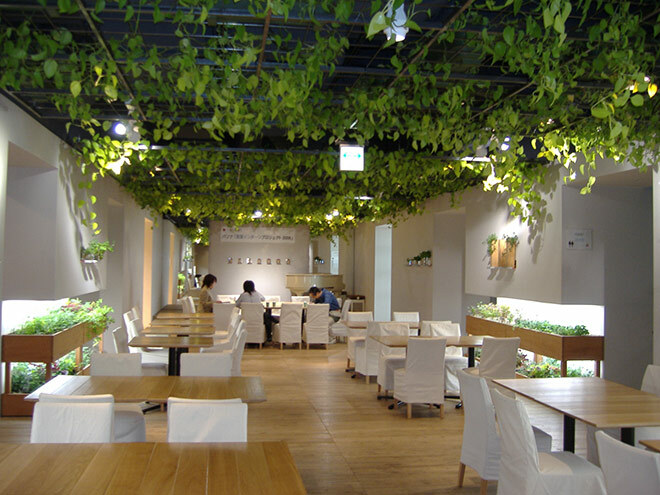 The care as well as the harvesting of the plant became a joy to the staff of Pasona. 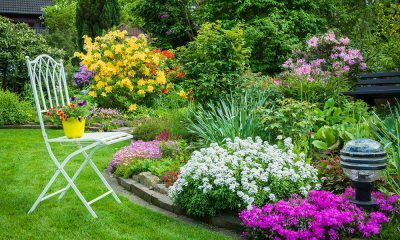 In order to facilitate the care of the trees as well as their main work, many employees have turned their lunch break into “pure” working hours when manually watering and fertilizing all orchards near the site. his most sitting. 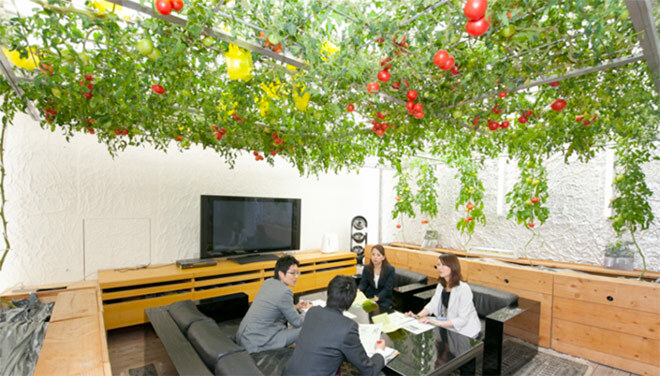 he meeting room is also covered with colorful hybrid tomato varieties. A corner of the company’s display is extremely rustic. 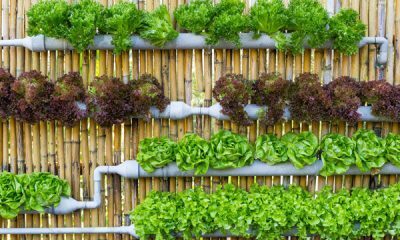 Agricultural experts will teach staff how to grow plants to produce food. 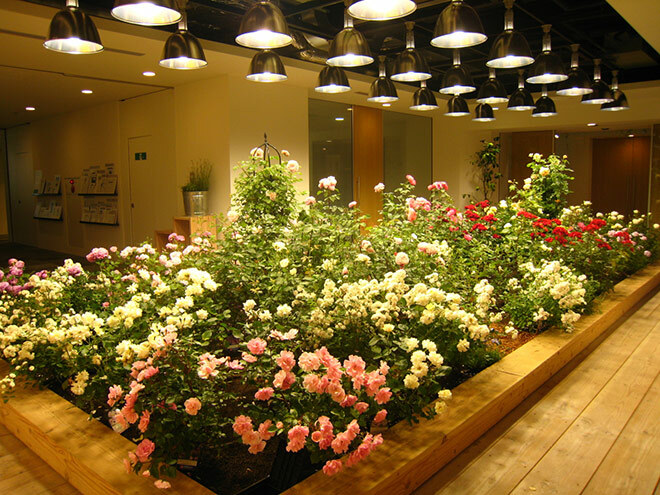 The leaders of Pasona encouraged employees to take care of their plants in order to create an effective working environment as well as provide clean food for their health. Leaf surrounded, the meeting also became more gentle. 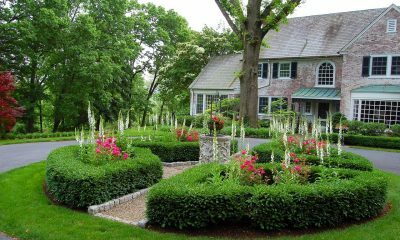 Who does not want to work in a beautiful company, close to nature like this ? 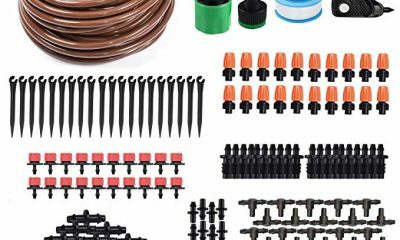 All Pasona employees were quite interested in the idea of the company, and many thought their lunch break had become more enjoyable and useful than before. Pasona wishes his future model could be replicated throughout the world.